I don’t believe in having too many rules in the kitchen. I think it’s silly. But Chimichurri is different. There are rules. And being a meat-loving Argentine, I have some leeway, don’t I? In a bowl combine finely chopped parsley, minced garlic, and all other ingredients. Mix well. The base should be parsley and the garlic should not overpower the other flavors. It should taste vinegary. The consistency is somewhat of a sauce, but not creamy. Never use a blender. Refrigerate in an airtight container for up to two months. 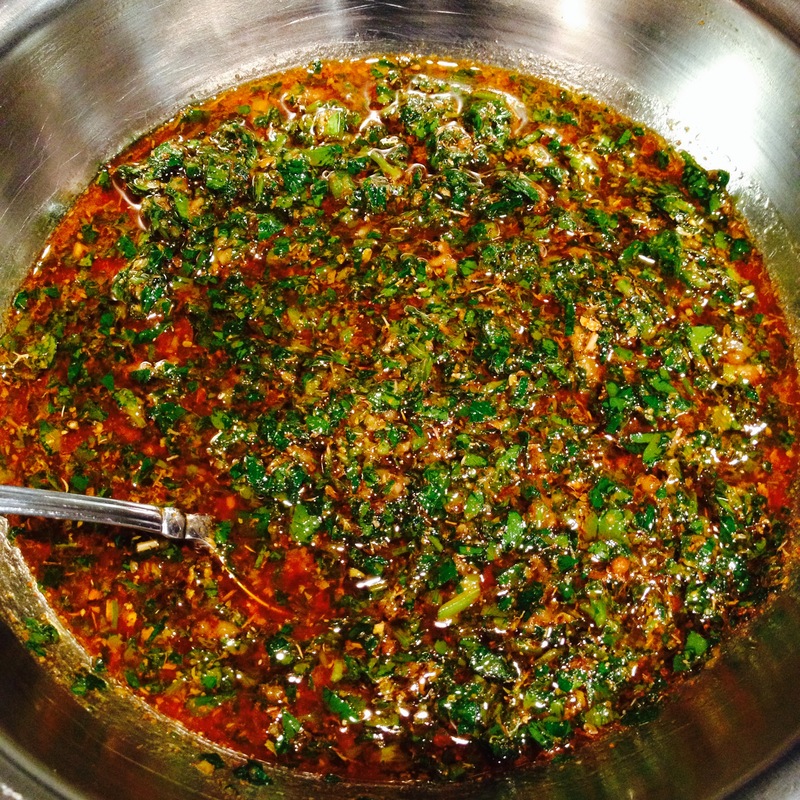 Note: as the chimichurri “ages” the flavors will intensify, making this sauce better suited for a marinade and less as a condiment for meats. Your recipe sounds great but, I was under the impression that every family owned the “perfect recipe” isn’t that the case?